neuroscience and dynamic psychotherapy, talk therapy. Click here for the Radio Show Empathy and the Self: An Interview With Joe Palombo. Joe will share his experiences during seven years of study with the late Heinz Kohut, the innovator most responsible for putting empathy on map and making empathy a household word prior to the discovery of mirror neurons. Joe will provide an update of the scientific grand challenge of integrating Kohut’s self psychology with neuroscience in the battle against learning disorders, to which his work at the Institute and Center is dedicated. The relationship between learning disorders and the development of the self is complex. Joe discusses treatment issues, including how and when to recommend psychotherapy, how to think about the treatment process, and guidance for the parents of a child with a learning disorder. Join Lou and Joe for an engaging conversations.Click here to go to Voice America for the live show on Wednesday May 27, 2015 at noon Chicago time or replay shortly thereafter. Short BIO for Joe Palombo: Joseph Palombo is the Founding Dean of the Institute for Clinical Social Work and the Director of its Joseph Palombo Center for Neuroscience and Psychoanalytic Social Work. He is a Faculty Member of the Child & Adolescent Psychoanalytic Therapy Program, Chicago Institute for Psychoanalysis. He has contributed numerous articles to the literature and two books Nonverbal Learning Disabilities: A Clinical Perspective and Learning Disorders and Disorders of the Self in Children and Adolescents. 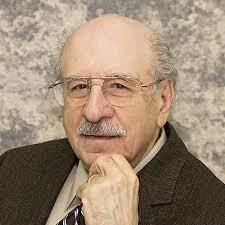 Joe co-authored the textbook Guide to Psychoanalytic Developmental theories, used in courses on development. Interestingly, on the functional level of description, they are only visually activated when another agent is observed acting in a purposeful way upon objects, for example, with his hand or mouth. In many mirror neurons we find a strict congruence between the particular action that is being observed and the executed action effective in driving the same motor response that has been observed. Mirror neurons, therefore, have been hypothesized to constitute the neural correlate of an observation/execution matching system (Metzinger 2003:367). The debate over whether human beings have mirror neurons in the narrower sense continues (e.g., see Hickok 2014 an Decety et al. 2013, which makes a strong case for skepticism). However, what the debate has shown is that human beings are connected biologically by action at a distance. Human beings (and higher mammals) resonate together affectively, even if the exact mechanism is not mirror neurons but a neural network that exploits empathic receptivity to the expressions of animate life in facial muscles and the communicability of affects. For example, the individual whose brain is being monitored by the fMRI machine is viewing photographs of hands and feet being painfully impacted by a door or a thumb being sliced by a knife (along with the cucumber being diced). These areas correspond closely to those parts of the brain recruited and activated when individuals actually experience pain (Jackson, Meltzoff and Decety 2005; Decety and Jackson 2004; but see also Hickok 2014 and Decety et al. 2013 where skepticism about mirror neurons is expressed), though the neural networks involved are more complex and extensive than those where human mirror neurons might occur. A number of qualifications are needed to prevent jumping to conclusions about the implications for other minds, mind reading, and empathy. Indeed the interesting issue is precisely what does it all really mean. The most valuable and useful neutral description that I can find is that these experiments point to a low level neurological mirroring of the two organisms where “mirroring” means “isomorphically mapping.” The discharge of neurons and activation of cerebral areas are isomorphic across two organisms, the one organism performing and the other merely observing yet being activated in a constant conjunction so as to go beyond correlation to cause and effect. Such a description brings to mind Leibniz’s criticism of Newton regarding the force of gravity that it invoked “occult processes,” leaving such “action at a distance” unexplained. This section takes the position that humans and mammals resonate together in empathic receptivity – whether biologically, individually, socially, evolutionarily, or across all these dimensions – using a neural-physiological mechanism that is the subject of ongoing investigation, possibly including mirror neurons, but it not well understood. Without being able to canvas the details, proposals for implementation mechanisms include some kind of “common coding scheme” (Prinz 1990) or a substructure to Ekman’s Facial Action Coding Schema (1985, 2003). It should be emphasized that the hypothesis being advanced here is not that MNs themselves constitute a full-scale realization of the simulation heuristic. In particular, we do not make this conjecture for MNs in monkeys. Our conjecture is only that MNs represent a primitive version, or possibly a precursor, of a simulation heuristic (Gallese and Goldman 1998: 498; cited in Goldman 2006: 136) . . . Whether using mirror neurons or a different neural network(s), the idea is that the neurological mechanism in the macaques can be further elaborated in other species to provide additional functionality. A brute force mechanism mirroring the corresponding neural discharges in the observer and actor provides as much information to the macaque monkey as it needs to accommodate itself in relating to macaque conspecifics. However, in other species, this mechanism could be recruited for other purposes in other organisms such as humans that had the capability to elaborate the information along additional trajectories in affective, volitional, and cognitive distinctions. According to M. Iacoboni (2007; 2008), both theory of mind (“ToM” is Iacoboni’s gloss on “TT”) and simulationist approaches are refuted—or at least put in their place—by existential neuroscience. One does not get to the other by means of an inference: “Thus, it seemed that mirror neurons also provide a mechanism for understanding the intentions of others” (2007: 318). Even if one disagrees about the specifics of mirror neurons, the gist of it is: neural networks for mirroring do not support simulation – you must be in interaction in order for the individual to see the action of the other person and have his neural network be activated for mirroring: “The existence of mirror neurons only makes sense for agents fully interacting with other people and their environment, in which the basic dichotomies inherited by classical cognitivism melt down completely [. . . including] subject/world [and] [ . . . ] inner/outer (Iacoboni 2007: 317). Iacoboni regards what he calls “existential empathy” as implementing rich, human social relations as described by Heidegger and other existential thinkers directly in mirror neurons: “Thus intentional understanding is implemented in human mirror neurons by activating chains of mirror neurons” (Iacoboni 2007: 319). If the intention cannot directly inhabit an individual mirror neuron – like Descartes’ thinking substance inhabits the pineal gland – then perhaps a chain of them will enable the intention. Of course, this is a category mistake. Descartes thinking substance does not inhabit the pineal gland; and Iacoboni’s intentional understanding does not inhabit mirror neurons. Without making too much of Iacoboni’s elementary category mistake across physical and mental attributes that are incompatible with existential empathy, let us note that something is lost in translation between the two levels of neurological and folk (social) psychological discourse. Iacoboni describes the mechanism of mirror neurons as causally effective in the communication of affective and interpersonal states between individual. However, this is far from being the only possible description. The activation of mirror neurons could also be epiphenomenal—an idle wheel—while the communication of affect is effected by recognition of the emotion in the face, voice, gesture, of the other person through visual and auditory perceptions functioning as separate neural networks subserving reflex arcs, associations, habits, and higher level schemas encoding prepropositional and propositional content. The activation of the mirror neurons could also be redescribed as simulation of one or more aspects of the experience emotional state. At this key juncture, simulation explicitly becomes for Goldman what it has been implicitly all along, namely, an eclectic, catch-all distinction used to stitch together disparate research experiments from an engaging perspective. Goldman deserves credit for avoiding the howler committed by Iacoboni. Yet Goldman argues against making the mirror system the unifying basis of social cognition (e.g., Iacoboni 2008; Gallese 2001, 2007), urging a more modest and inconclusive result that the motor system provides a basis that will have to be further specified (Goldman 2006: 131). Such caution was prescient on Goldman’s part in 2006, especially given the skeptical results of Hickok (2014) and Decety et al. (2014). Informational (computational): From an informational perspective, powerful computational analogies and metaphors are able to be gathered together. One is able to ask questions and propose answers based on the computational formulation and framework that one was previously unable to access or grasp. Thus, to give the simulationist approach due credit, computationally, empathy is a serial processor on top of a neural network mechanism. These processors work in parallel and dynamically interact (Clark 1988). The functional microstructure of empathy is that of a parallel distributed processing network. Visual inputs such as bodily posture, facial expression, the tone accompanying the speech, perlocutionary force, content, even smell, for example, the smell of fear given off as sweat, are integrated in the parallel processor. These, in turn, evoke memories and feelings that will be relevant (or not) to the situation. These inputs form a pattern of informational holism. The serial processor then projects a holistic meaning onto the network. It is able to handle “a huge palette of shades of meaning” (Clark 1988: 109) and cross reference them as in a connectionist network. What gets semantically interpreted by empathy will be patterns of activation of such units as facial expression, tone of voice, statements, bodily posture, aspects of behavior as integrated in context. The emotion – e.g., anger – will emerge from a continuum of activation patterns. Emotions are a particularly complex case. The nucleus of the emotion is not directly projectable onto the connectionist unit whose interrelated activation constitutes the emotion. The quality of the emotion remains ineffable, extending as it does “down” into the complex of connectionist nodes. The activation pattern of the processing structure encodes the identify of the particular emotion (Clark 1988: 135), leading to a possibly intractably large number of qualitative shades of affectivity. A virtual machine – a serial processor on top of the parallel processor – is deployed by humans to deal with the meaning of such emotions. “The boss is angry again.” But the virtual machine is operating serially and with conscious rules on a parallel mass of networked connections that encode a vast array of overlapping experiences – particular incidents with teachers in school – for example, who would not even be recognized as an authority figure without the rule interpreter. In that sense, the emotion is not semantically transparent. One is just afraid of the boss, and one does not “get” why. One cannot think for fear. Yet in another sense the emotion is indeed transparent in that one immediately relates to the situation with the boss through the emotion. If one can momentarily detach from the immediate fear, one is able to deploy secondary processes to “get” that one is afraid of loss of one’s job and take action to avoid that outcome. Full, adult mature empathy has one foot in each camp – the connectionist network and the serial processor riding atop it. From an informational (computational) perspective, it is provocative to redescribe the neuronal mirroring as a “common coding” mechanism whereby the organisms share a code in which the premotor neuron are activated (Prinz 1990). This is also elaborated by Metzinger as the principle of substrate sharing (Metzinger 2003: 84). For example Ekman’s Facial Action Coding Schemes (FACS) encodes some 5000 facial muscle micro-movements that express basic emotions in excruciating detail (1985, 2003). It is a further step, but a plausible one, to hypothesize that one’s empathic receptivity is more accurate than another’s if the one has access to a finer-level of detail in capturing the micro-expressions than the other. Here “simulation” comes into its own as the intermediate level of analysis between the neurological (mirroring system) and the functional (e.g., inner imitation), the latter engaged in the next section (Functional). Simulations are off-line when they are being computed by way of a intentional “as if” plan to travel to an unfamiliar location in town, or trying to imagine how one would feel if one were in his shoes, consciously cogitating as one might say. The simulations are on-line when spontaneously occurring due to computations of which we are aware only thanks to results such as day dreams, reveries, or active imagination. A background or reference model is required against which to simulate – i.e., compute – other possible situations in planning for the future. Here the notion of simulating an emotion and the capture of an expression of emotion in empathy by mean of an information processing (computational) model does initially get traction. It should. Simulation is part of a computational model. But it is not quite what it seemed at first when simulation was supposed directly to encode and decode emotions by isomorphic discharge of networks of mirror neurons and related adreno-endochrinological processes. The way in which all the developmental history of experiences with significant others, parents, teachers, peers, in all manner of contexts, get associated together using contiguity of space and time, resemblance, and causal connections in the 18th century Humean sense of associationist psychology now links up with the modern model of a connectionist neural network. The individual can then try to make sense out of this entangled complex of associations by applying further cognitive and verbal distinctions from a serial processor – conscious thinking and problem solving – that accesses the results of the underlying parallel processing network. Whether the access to the developmental history is by means of an associationist psychology or a connectionist network model, however, the target phenomenon, the expression of emotion that is empathically received, remains a complex tangle of interrelated emotional vectors – a causal thicket if you will (Wimsatt 1994) – that is neither more nor less explanatorily clear than the target phenomenon itself. J. Decety (ed.). (2012). Empathy from bench to Bedside. Cambridge, MA: MIT Press. J. Decety and T. Chaminade. (2003). “When the self represents the other: A new cognitive neuroscience view on psychological identification,” Consciousness and Cognition 12 (2003). J. Decety & P.L. Jackson. (2004). “The functional architecture of human empathy” in Behavioral and Cognitive Neuroscience Reviews, Vol 3, No. 2, June 2004, 71-100. J. Decety & C. Lamm. (2006). “Human empathy through the lens of social neuroscience,” The ScientificWorld Journal 6 (2006), 1146-1163. J. Decety, Chenyi Chen, Carla Harenski, Kent A. Kiehl. (2013). “An fMRI study of affective perspective taking in individuals with psychopathy: imagining another in pain does not evoke empathy,” Frontiers in Human Neuroscience, 7: 489; published online September 24, 2013. DOI: 10.3389/fnhum.2013.00489. Paul Ekman. (1985). Telling Lies: Clues to Deceit in the Marketplace, Politics, and Marriage, New York, W.W. Norton, 1985. Paul Ekman. (2003). Emotions Revealed: Recognizing Faces and Feelings to Improve Communication and Emotional Life, New York: Henry Holt, 2003. V. Gallese and A. I. Goldman. (1998) “Mirror neurons and the simulation theory of mindreading trends” in Cognitive Sciences 2: 493-501. V. Gallese. (2001). “The ‘shared manifold’ hypothesis: From mirror neurons to empathy,” Journal of Consciousness Studies 8, No. 5-7, (2001) 30-50. V. Gallese. (2007). “The shared manifold hypothesis: Embodied simulation and its role in empathy and social cognition” in Empathy and Mental Illness, eds. T. Farrow and P. Woodruff, Cambridge, UK: Cambridge University Press, 2007: 448-472. Alvin Goldman. (2006). Simulating Minds: The Philosophy, Psychology, and Neuroscience of Mindreading. Oxford, UK: Oxford University Press, 2006. Gregory Hickok. (2014). The Myth of Mirror Neurons. New York: W.W. Norton. M. Iacoboni. (2005). “Understanding others: Imitation, language, and empathy.” In S. Hurly and N. Chater, eds., Perspectives on Imitation: From Neuroscience to Social Science, Vol. 1 (76-100). Cambridge, MA: MIT Press. M. Iacoboni. (2007). “Existential empathy: the intimacy of self and other” in Empathy and Mental Illness, eds. Tom Farrow and Peter Woodruff, Cambridge, UK: Cambridge University Press, 2007: 310-321. M. Iacoboni. (2008). Mirroring People. New York: Farrar, Straus and Giroux. Thomas Metzinger. (2003). Being No One: The Self-Model Theory of Subjectivity. Cambridge, MA: MIT Press. J. Prinz. (1990). “A common coding approach to perception and action” in O. Neuman and W. Prinz, eds., Relationships between Perception and Action: Current Approaches. Berlin: Springer-Verlag: 167-201. William Wimsatt. (1994). “The ontology of complex systems” in Reengineering Philosophy for Limited Beings. Cambridge, MA: Harvard University Press, 2007. Psychiatric Services at Empathic-Resonance.org – Child, Adolescent, or Adult? Psychiatry and Horror – in the Movies! This blog and all its contents, © Lou Agosta, Ph.D.